Character - Scavenger. Points: 9. Health: 8. 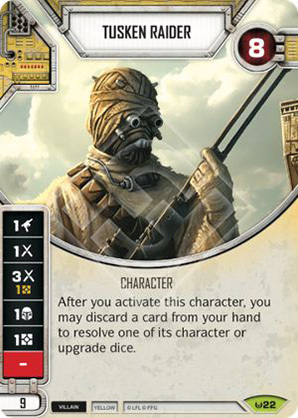 After you activate this character, you may discard a card from your hand to resolve one of its character or upgrade dice.